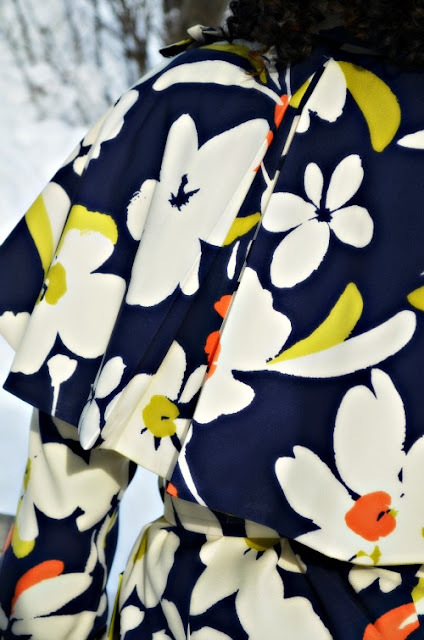 Fabric Mart Fabricistas: Made By A Fabricista: Flower Power In The Winter Time! Made By A Fabricista: Flower Power In The Winter Time! 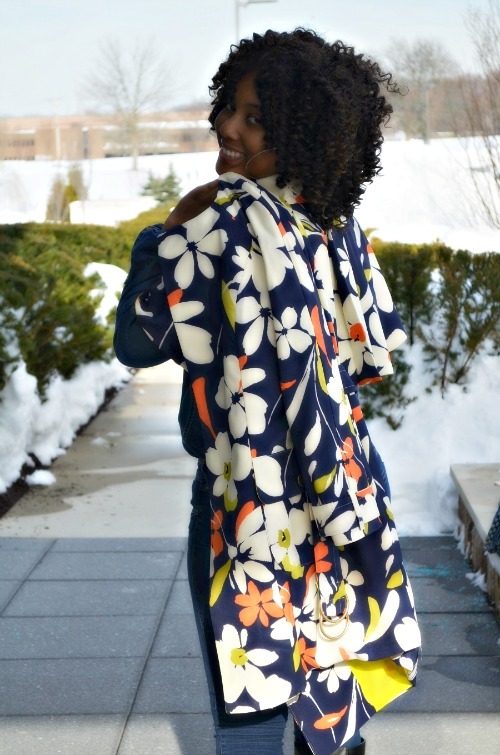 My first post as a Fabric Mart Fabricista! Let me take a second to tell you a little about myself. 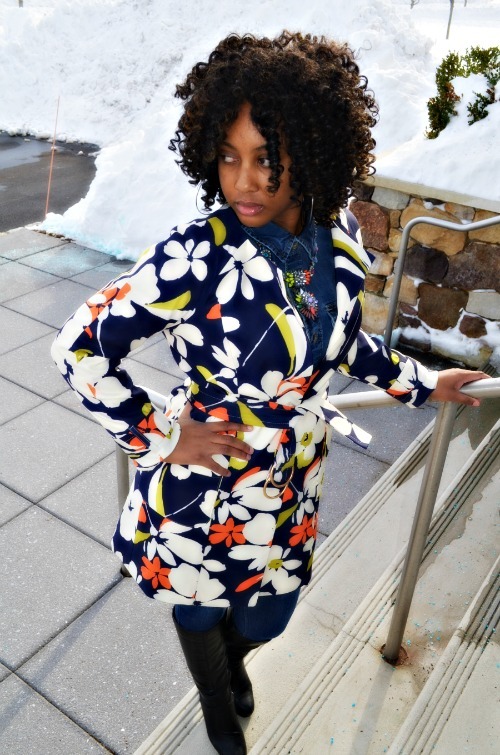 My name is Michelle and I blog over at That Black Chic. 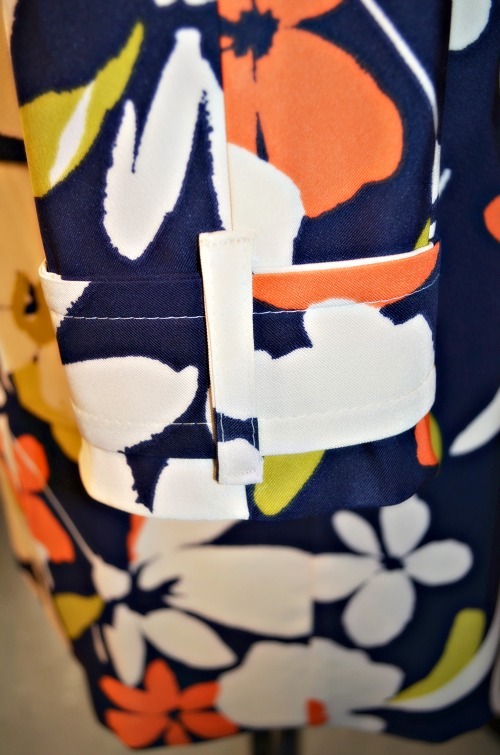 My blog is a sewing and DIY blog but I'm pretty sure you already guessed that much. I've been blogging a little over two years now and I have to tell ya, I'm having a blast! I was super excited to be added to the Fabric Mart blogging family. I also contribute to several other blogs, so if you see me out there in the bloggerverse, make sure you stop by to say "What's UP!" ...........Oh yeah let me put my disclaimer out there now. 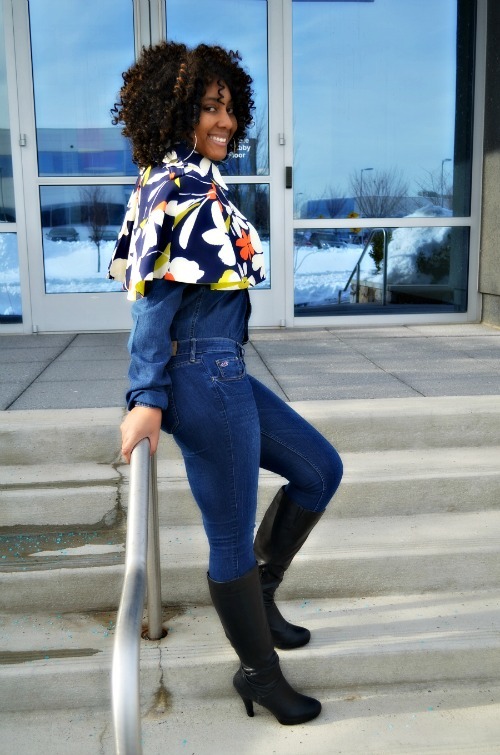 Most of the items that are posted on my blog are made for and modeled by my daughter Mori, she is the face of my blog, you'll see my beautiful face every now and then. You guys get a double bonus today because not only is this my first post but it is also my first made garment for 2016! WhooooHoooo! 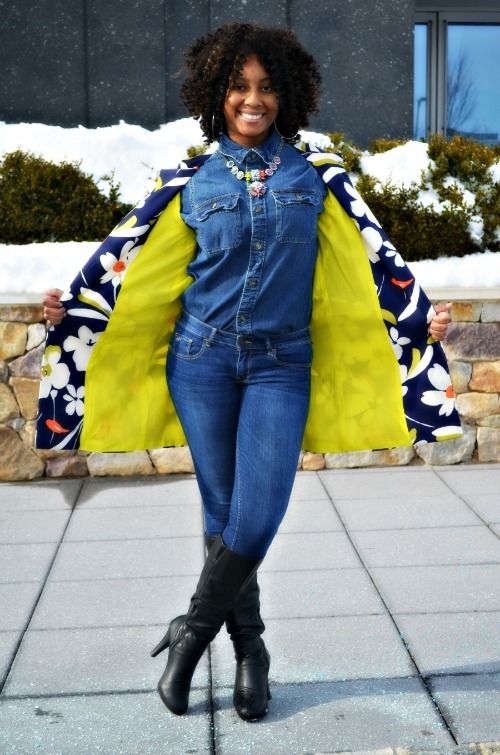 I'm starting with this Spring outerwear piece or should I say pieces. 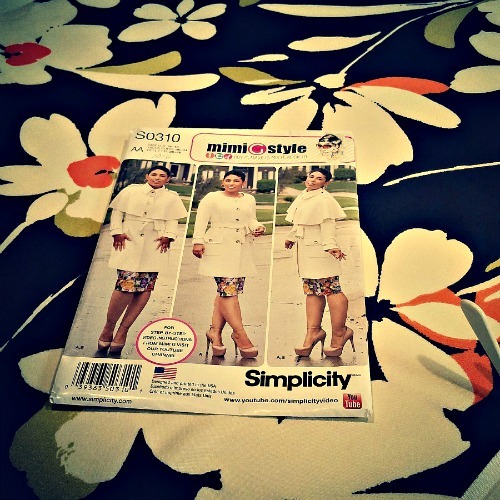 I used Mimi G's Simplicity 1016 pattern Views A&B. This is a coat you can have fun with. Is it a coat or a cape? Is it a coat with a cape? Yes, yes and yes. 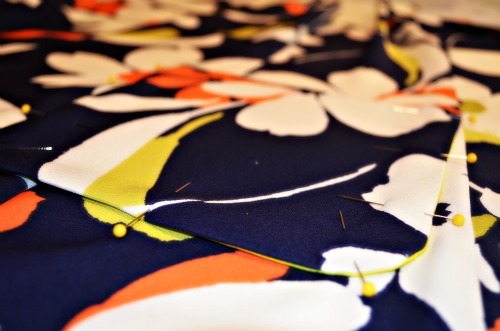 I purchased this fabric before I knew what I wanted to make, that's a normal course of action on my part. If you know me or have seen my work, you know that I'm all about bold prints, the bolder the better and don't even get me started talking about mixing prints. 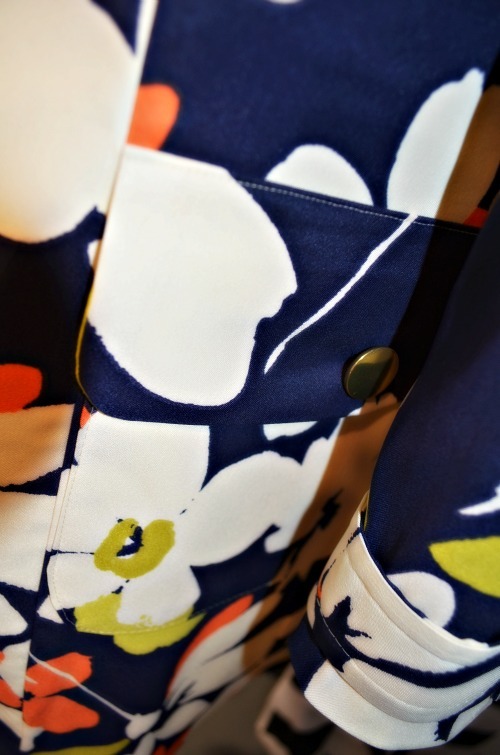 So when I saw this Maggy London print I was in love. (They had about 20 yards on hand when I made this post.) HERE and HERE are other fabric options as well.) I originally thought maybe a blazer and a wide leg pant but then I decided that I needed to use some of my NEW patterns, because I only have like a zillion unopened patterns. So that is why I picked this coat as my first project. I did also purchase this lime green J. Crew voile cotton fabric for my lining, which was on clearance a few months ago. This pattern was fairly easy to sew and if you need visual sewing help, MimiG has tutorials for all her patterns which is super cool. I did peep this one so that I would be able to say it is helpful. 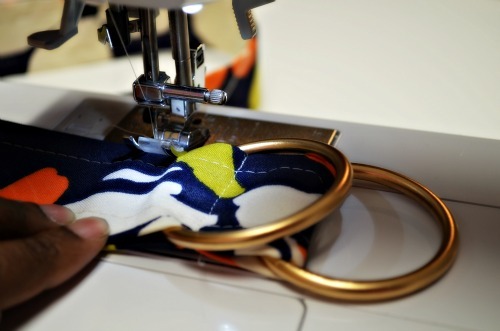 If you're a beginning sewist, then this would be a bonus for you, click HERE. 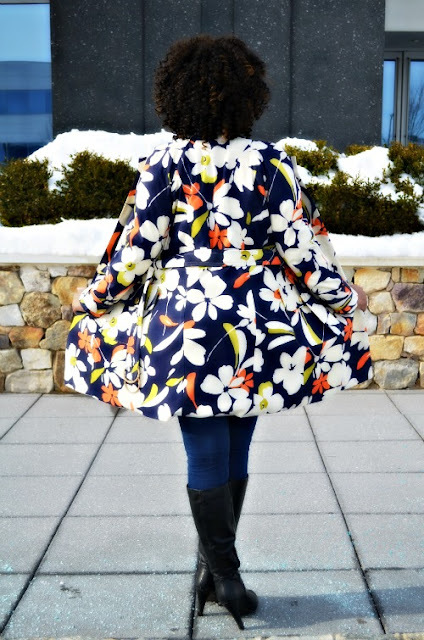 I made this coat in all of 4 sewing hours, which does not include prep time. 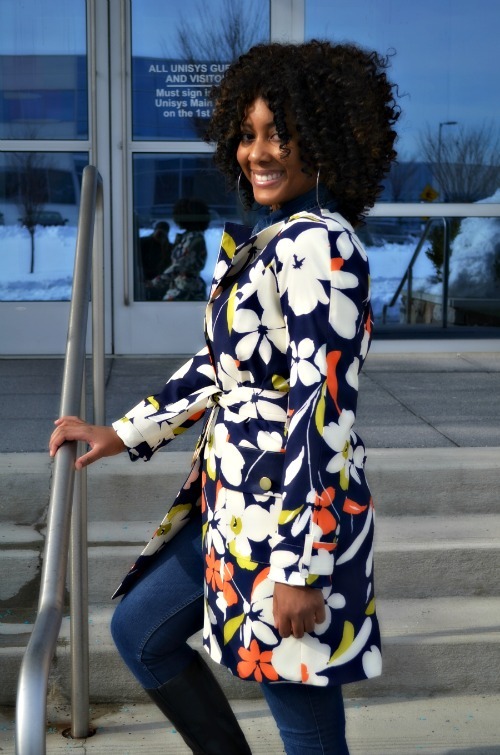 I opted not to add buttons on this coat and keep it open since this is a spring coat and it has a belt that would help to keep the coat closed if need be. I also found two gold rings in my stash of things and used them to make this cool belt buckle. I love the cape and I love the look. I love the fabric and the coat. I would definitely rock this (even at sixty years young)! You darn sure can rock this at 60! Thanks Cathy! Good job Sew Sister !!! Thanks you for dropping me a Thanks! Michelle - I saw that fabric and thought about it and thought about, finally not buying it because what could I do with such a large print. Well dayum if you didn't answer that question! The coat is stunning...absolutely amazingly beautiful! And of course Mori is wearing it!!! Fantastic job as usual! Thanks Carolyn. I can't resist a big print to save my life! When I saw this draped on the table I was sold, sold, sold. 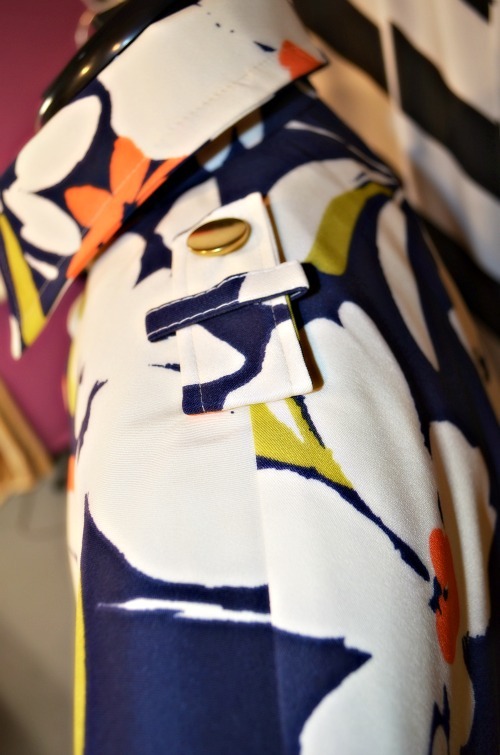 Great coat and professionally sewn. Words I want to live by, thanks! Lucky Mori! That is stunning! Ahhh forget about Mori just look at the coat! Just kidding that girl is super lucky and for the stunning part I would say she takes after her Momma, but she doesn't look anything like me! Thanks Sandy in CA! Beautiful! 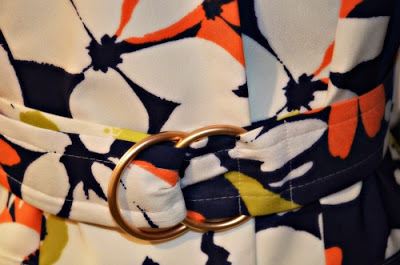 The fabric is such a fun print. Yes it is such great print and the coat ain't half bad either. I love your style and your personality...it shines through in your posts. You got me over here with a lump in my throat! That is so cool of you to say....wait are you talking about me or Mori? Either way thank you from the both of us...stay tuned. Fantastic! The vibrant colors are perfect for this style! And so perfectly made. Kudos. Thank you, the coat didn't require much styling at all. 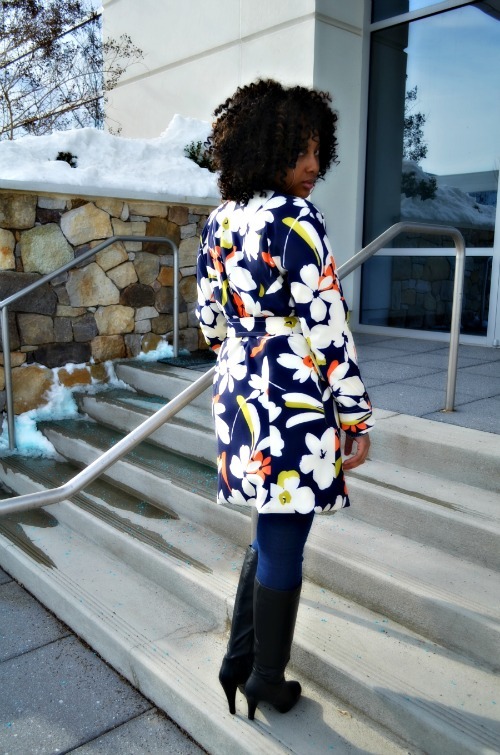 I am in love with this coat and the print is fabulous. Keep up the good work and I'm happy to see you with Fabricmart. Karen Thanks a bunch I'm so happy to be here! This is an absolutely beautiful coat! Great work! Love!!!!! Such a great fabric choice!!!!!! Thanks Kathy, I looovvveee this fabric too! That's so cute! Love the cape and the cheery fabric! This coat is fabulous and this print is brilliant, can I have this coat? Great job. Hi Michelle, I came across you on fabric mart by accident. 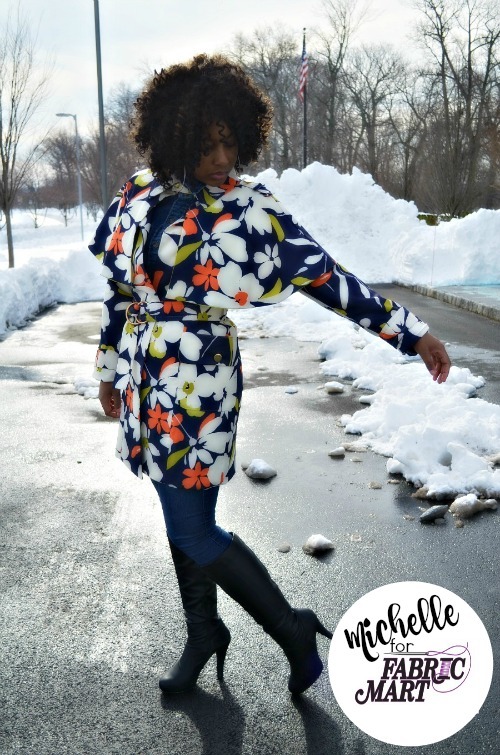 I recognized the photo of your daughter in this lovely coat from sewing.patternreview.com That's so awesome for you to be featured as a Fabricista! Congratulations and good luck! Your work is amazing! Jeanette L.